Egg burji is an easy and quick recipe for a Lazy breakfast along with a bun or bread. Even though it’s a kid’s delicacy; we can make it little spicy and flavorful by adding more spices. 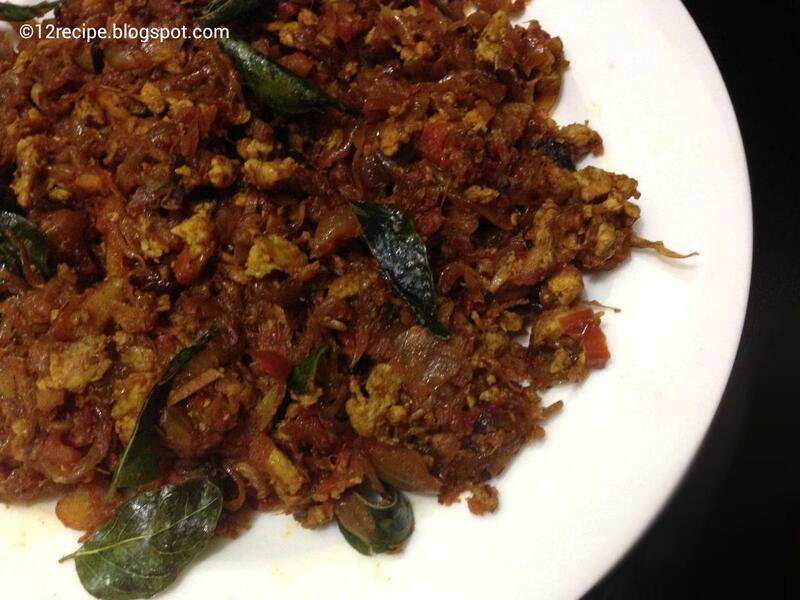 This scrambled egg with onions and tomatoes also goes well with chapathi, dosa, paratha, etc. Heat oil in a pan; splutter cumin seeds. Add onion sliced and saute until transparent. Add curry leaves, ginger, garlic, green chilly and salt. Saute for a minute until raw smell goes off. Add tomato chopped and sauté until each tomato pieces are mashed well. Now move all the masala in to one side of the pan. In the other side add three eggs beaten with little salt and pepper powder. Sauté it without mixing with the onion masala for a minute. When the eggs are scrambled well; mix it with the onion masala and sauté in low flame for a minute. Sprinkle coriander leaves on top and switch off the flame.